Rachael Cornelius '16 (Oneida) stands in front of a U.S. map with tabs showing the hometowns of Native students at Harvard. 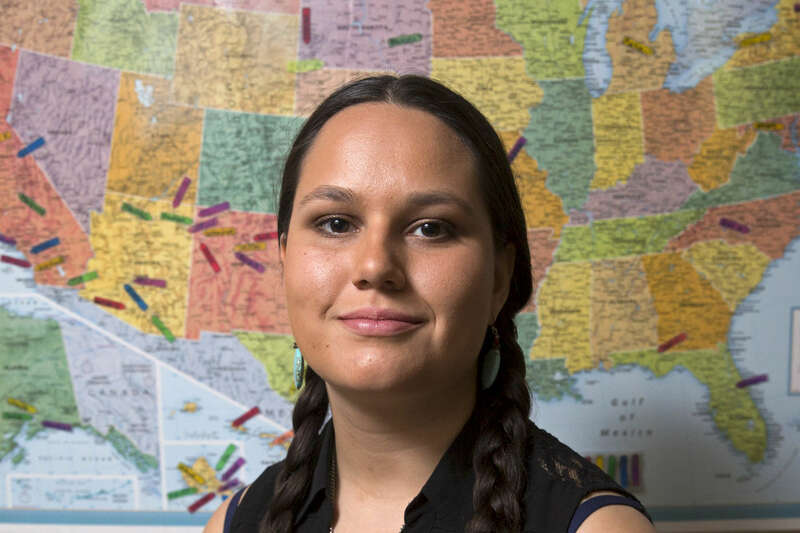 "The Harvard University Native American Program has been my home away from home. I spent many nights working out chemistry equations on HUNAP’s giant white board, overusing the coffee maker, and falling asleep on the sofa. Through both HUNAP and Native Americans at Harvard College, the community comes together as a family through dance, art, and food. I know the strong ties we made will not be undone by our graduation."